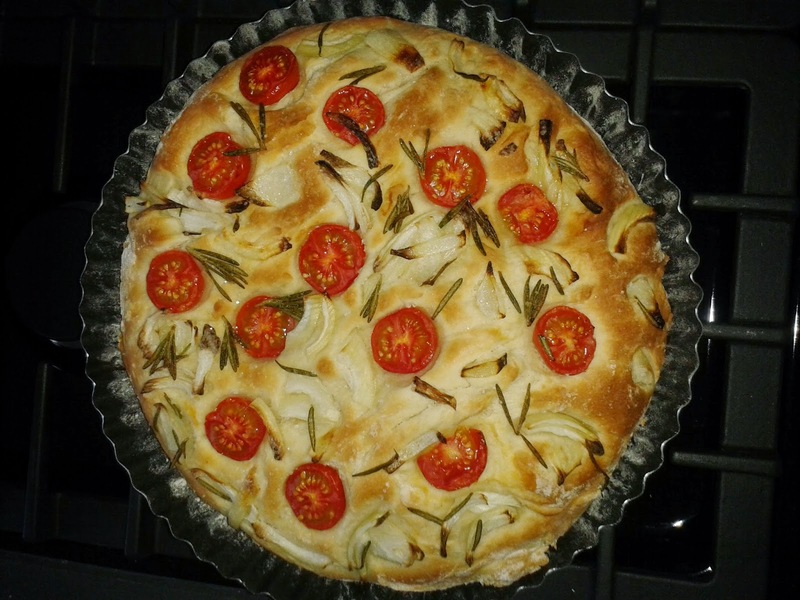 One of my favorite things to make when i get bored is focaccia. It’s very simple to make and you can practically finish it with what you like. I usually keep it very simple. Just a few cherry tomatoes, onion, rosemary and some sea salt. To make the dough for the focaccia you put 10% of the flour and salt in to your mixers bowl (you can also put it in a regular bowl, but i prefer to mix everything with my mixer). Together with your flour goes your water, yeast, sugar and olive oil. You start mixing everything together and begin to put (little by little) the rest of the flour in. When all of the ingredients are mixed, you keep the mixer running on a low-medium speed for at least 15 to 20 minutes. When all is mixed you put the mixed dough on an oven plate (you can choose your form, round, square, …) and put it in the oven (make sure the oven is not on) to raise for at least an hour or 2. After 2 hours you’ll see that your dough has at least doubled in size (if not, you’ve not used the correct amount of yeast or haven’t placed it in a dry place). Now you take your dough out of the oven and put the oven on 200°C (or 392°F) and start preparing your toppings. You first start by pushing your dough with your fingers so you have hollow holes in your dough to put your toppings on. I usually cut the cherry tomatoes in to 3 parts and my onion pretty rough. You put it all on your dough together with the rosemary. Now you take a brush and dip it in to your olive oil and smear your dough with the olive oil. At the end you take a good pinch of sea salt and scatter it on your focaccia. 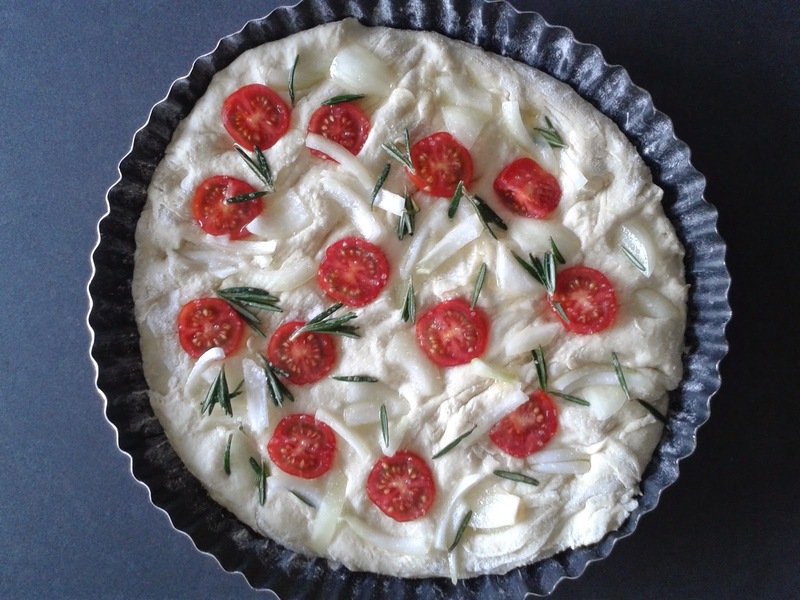 Now all you have to do is to put the focaccia in your pre-heated oven for about 15 minutes and it’s ready. Let it cool down until it’s ready to eat. What i usually like to eat with a piece of focaccia is some prosciutto, some salame or a nice piece of parmiggiano together with a nice glass of Italian red wine. Next Next post: Let’s make some brodo!